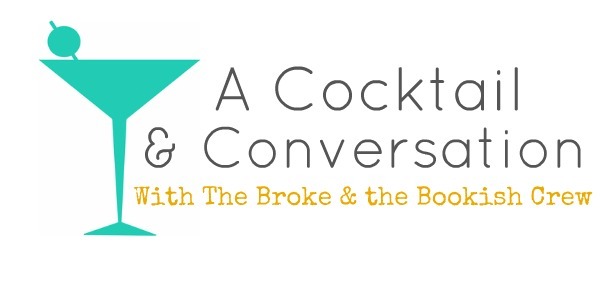 The Broke and the Bookish : A Cocktail & Conversation With TB&TB Crew -- Bookish Accessories? 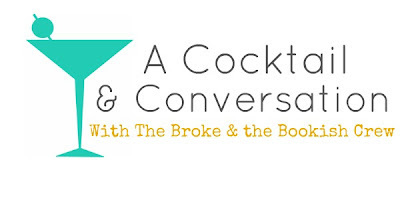 A Cocktail & Conversation With TB&TB Crew -- Bookish Accessories? Jana asks: What's your favorite bookish accessory? Is it a particular tote bag, piece of jewelry, book light, etc.? Jane actually creeps the hell out of me, but Edgar isn't so bad. Couldn't find a picture of him though. 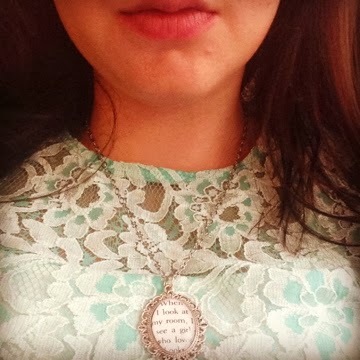 Jamie says: This necklace that my friend Jen got me -- it's a quote from John Green's Looking For Alaska! It says "When I look at my room I see a girl who loves books." Paula says: My favorite accessory is necklaces. I am a necklace fiend. So my favorite book related accessory is also necklaces. So I have the Hogwarts seal, the Deathly Hallows, Hansel and Gretel, and Brave New World (my hands down favorite book). I also have a pair of "I <3 Neil Gaiman" earrings. And comic book shoes that I made (and shared here before). In the future I am planning on making a book clutch so if you ask me again in a few months I might have a different answer :D Oh gosh I have so many book related things that I love that I could list here actually... I'll spare you though! What about you guys? What are YOUR favorite bookish accessories? Tell us...and maybe link us so um maybe we can do a little shopping?? I have a couple of book earrings that I received a few years ago that I love, so guess those would be my current faves! I love that John Green quote ;) I have tons of bookish tote bags, I'm not sure if those count as accessories? I really like the pillow. 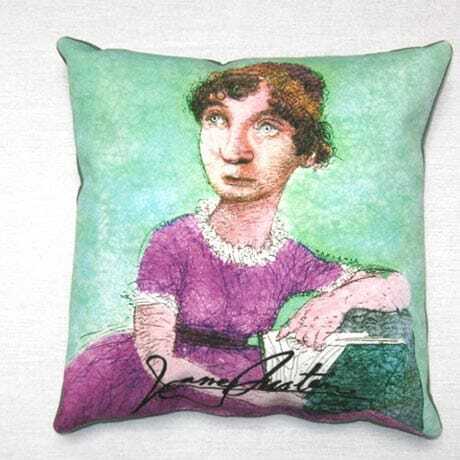 I want author pillows too! Mine is my I Capture the Castle canvas bag from the Literary Gift Company. It has the first line written across is, and I Capture The Castle is my favourite book ever. It fits everything in and is super strong so easily filled with books.